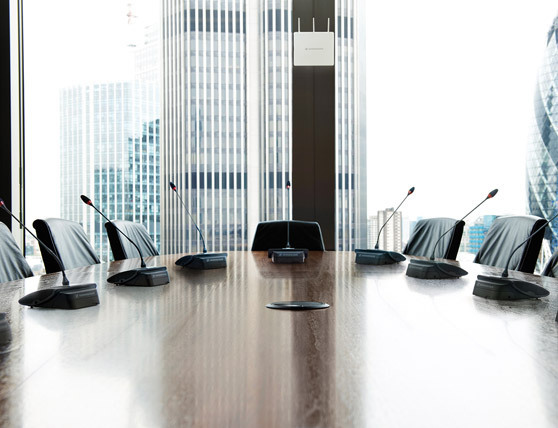 The ADN conference system creates the ideal environment for focused discussions. 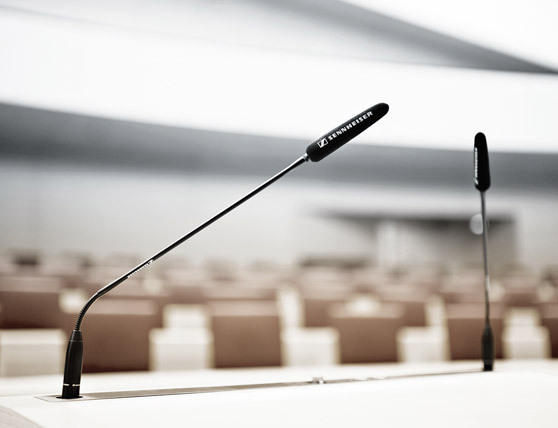 Whether wired or wireless: ADN guarantees maximum reliability, ultimate speech intelligibility, and is flexibly combinable. Press conference, panel discussion, plenary session. You can rely on the ADN conference systems in any situation. For it was developed with a focus on maximum operational safety. The automatic frequency management of the wireless version ADN-W sets new standards, guaranteeing the greatest possible bandwidth for the available channels as well as a robust, fail-safe transmission. Integrative technology and simply more flexibility – no matter if you choose a wired solution (ADN), a wireless one (ADW-W) or a combination of both. Thus, the system can be easily and flexibly adjusted for groups of different sizes. The system monitoring is done conveniently by PC software or by a media control protocol via app. Furthermore, there are different types of microphones for miscellaneous requirements to choose from. That's how good a conference system can sound. For everyone to understand everything. The ADN conference system is equipped with a most effective feedback suppression. It can be individually combined with microphones that ensure outstanding speech intelligibility—up to the legendary supercardioid microphone ME 36 for audio quality unheard of in this segment. 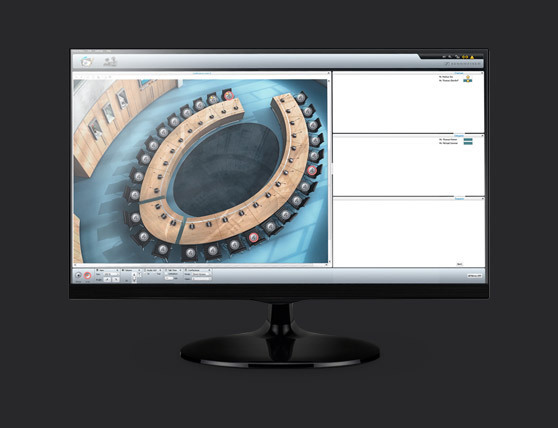 The ADN conference system harmonizes seamlessly with any existing room concept. Thanks to well-conceived details, timeless design, and a neutral color scheme the ADN conference system is always present yet unobtrusive. After all, the spotlight shouldn’t be on the technology but on what you have to say. And to guarantee confidentiality for what is said behind closed doors a 128-bit AES-encoding reliably prevents unwanted eavesdropping.